Everything gets better with Mindy. Every time Mindy calls and wants to play Vesta-Linnéa transforms, she becomes more energetic and inventive. That is why Vesta-Linnéa has to wait by the telephone. Why can’t mum understand this? Tove Appelgren and Salla Savolainen are back! 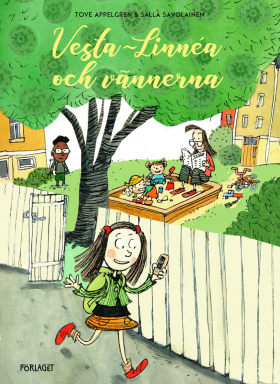 In Vesta-Linnéa and Friends popularity and friendship stands in the centre. Vesta-Linnéa wonders why she doesn’t seem to be as exciting for throughout cool Mindy as Mindy is to her.